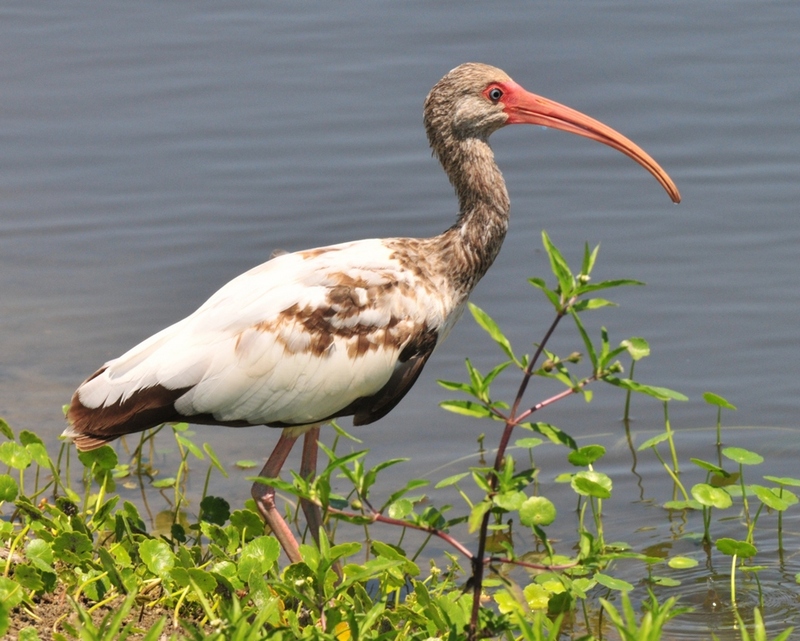 The White Ibis is an odd looking bird. It’s white body with a bright blue eye in a red face and bill makes it quite striking. The young start off as brown birds with a tan neck and face but become white as they mature. Mornings and evenings, you will often see flocks or small groups flying to the days feeding grounds. In flight, the adults show black wingtips. 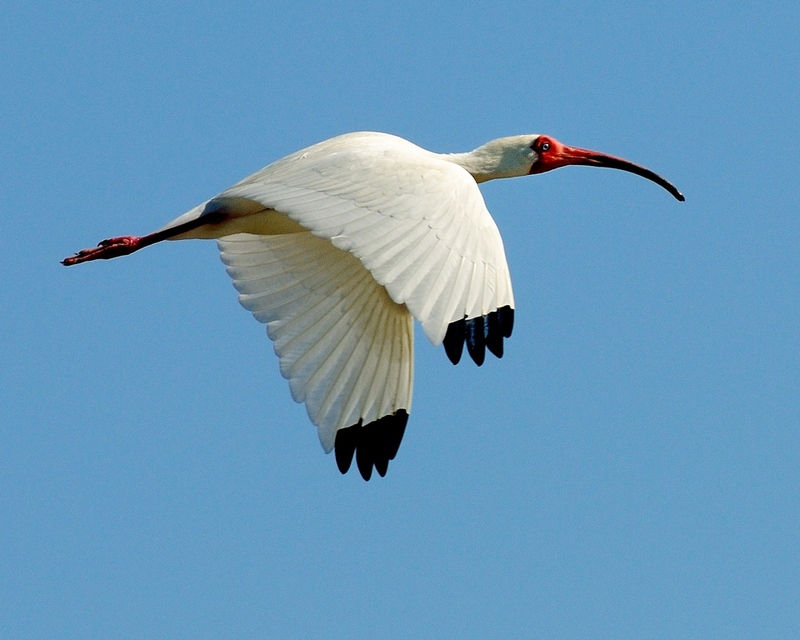 Ibis fly with their necks extended. The curved red bill is obvious from almost any distance. If you open this as a seperate topic, the top picture shows a flock of young Ibis in flight. They may be seen feeding solitarily but are most often seen in flocks. They will also join with herons and egrets feeding in groups. 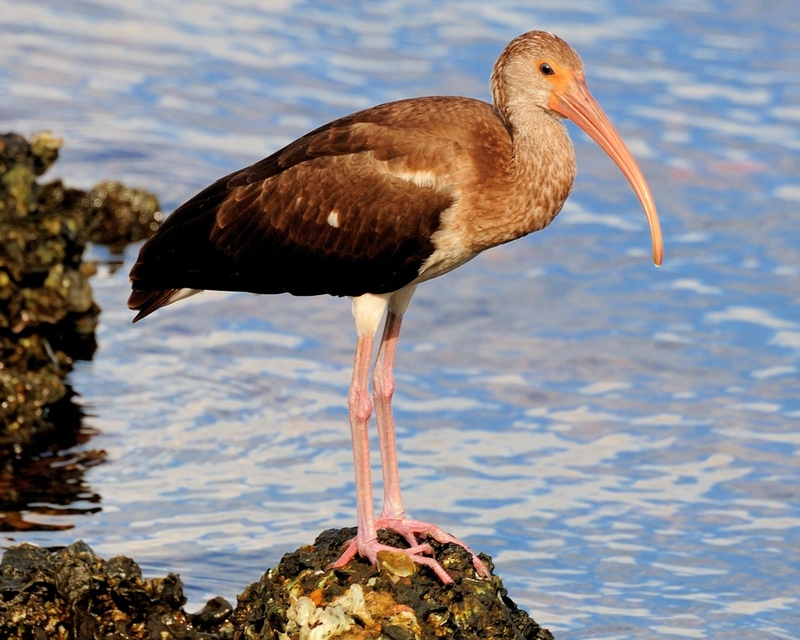 If you see a flock of Ibis feeding in your yard, it’s a sure sign of grubs. 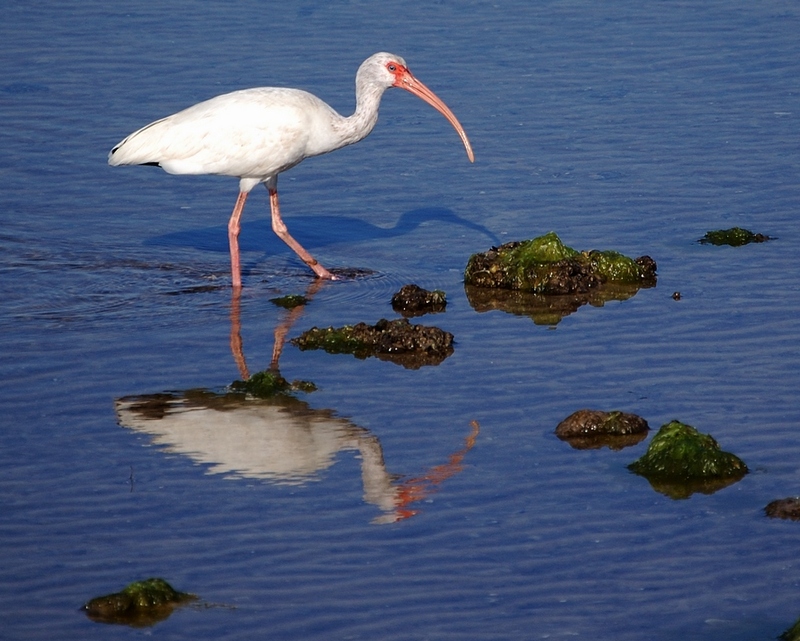 This entry was posted in Bird and tagged Photography, White Ibis. Bookmark the permalink.